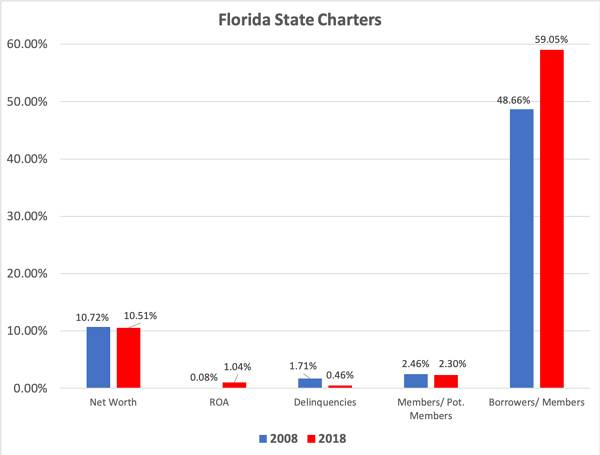 Like the rest of the country, Florida has seen its share of credit union mergers, but few states were hit as hard as Florida during the 2008 economic crisis. Developments full of vacant homes built on spec sat empty for years as investors went under and demand declined. Credit unions there were also inflicted with the corporate crisis all credit unions felt the sting of in those days. The NCUA’s recovery plan is still taking a bite as the agency returns a portion of the funds collected. A decade ago, Florida had 187 credit unions of which 57% were federal charters. 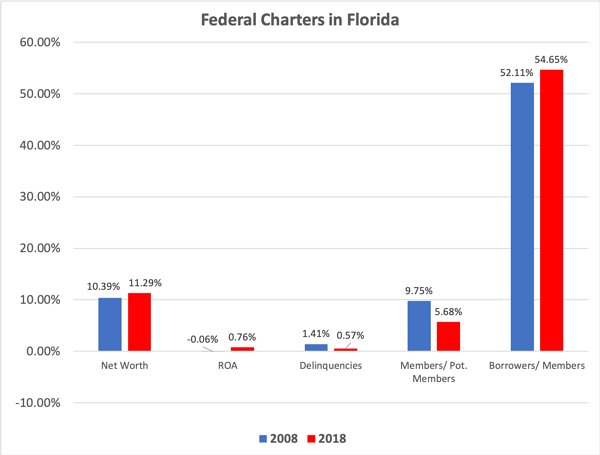 As of June 2018, the Sunshine State is home to 134 credit unions, 51% of which are federally chartered. State charters in Florida have much broader opportunities available to them regarding field of membership. 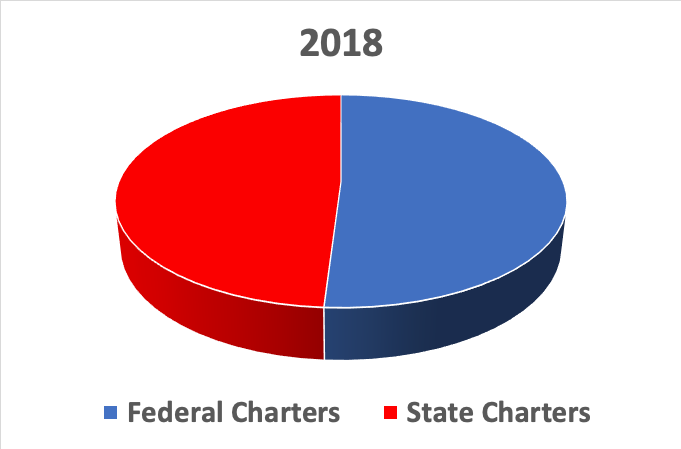 VyStar CU was just approved on Nov. 5, to expand its field of membership to include persons who live or work in Bay, Calhoun, Citrus, Dixie, Escambia, Franklin, Gadsden, Gulf, Hernando, Hillsborough, Holmes, Jackson, Jefferson, Lafayette, Leon, Liberty, Madison, Okaloosa, Osceola, Pasco, Pinellas, Polk, Santa Rosa, Taylor, Wakulla, Walton, Washington, and organizations of such persons who do not otherwise qualify for membership in this credit union and members of the immediate family of all such persons up to 55,000 additional new members per year. Only a week before, Space Coast Credit Union was approved for an expansion to Collier, Lake, Marion, Okeechobee, Pasco, Polk, Putnam, Sumter, Lee, and Manatee Counties who do not otherwise qualify for membership in this Credit Union (up to an aggregate of 40,000 new members per calendar year pursuant to this basis for membership eligibility). And there are many, many more that have gone through this year – just look here. If you need help analyzing your field of membership options, try CUCollaborate! Click here to learn more. 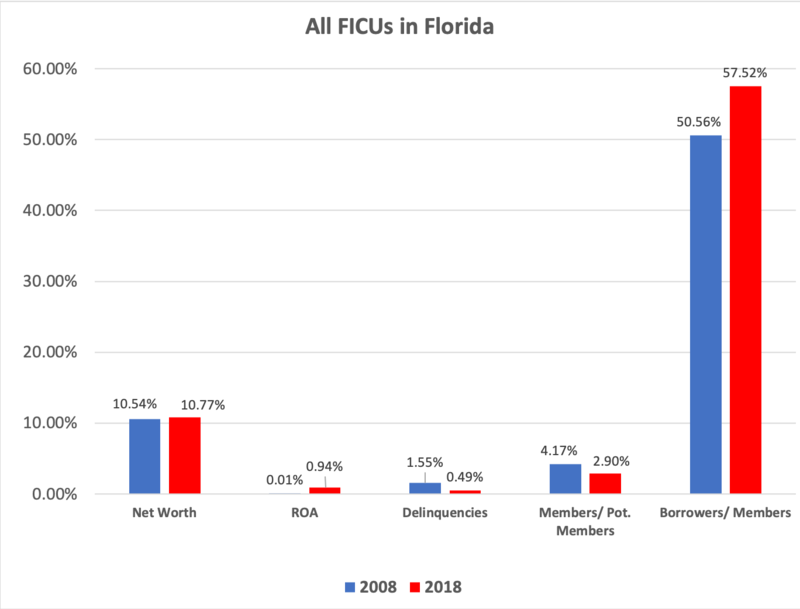 While Florida credit unions members to potential members have dipped in light of the expansions, other key indicators are moving the right direction.